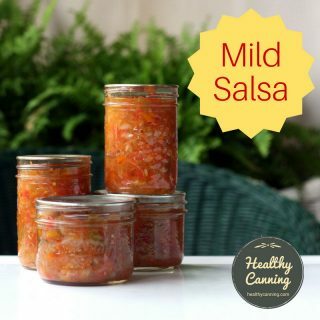 We just cannot say enough good things about this dry mix for soups and sauces. 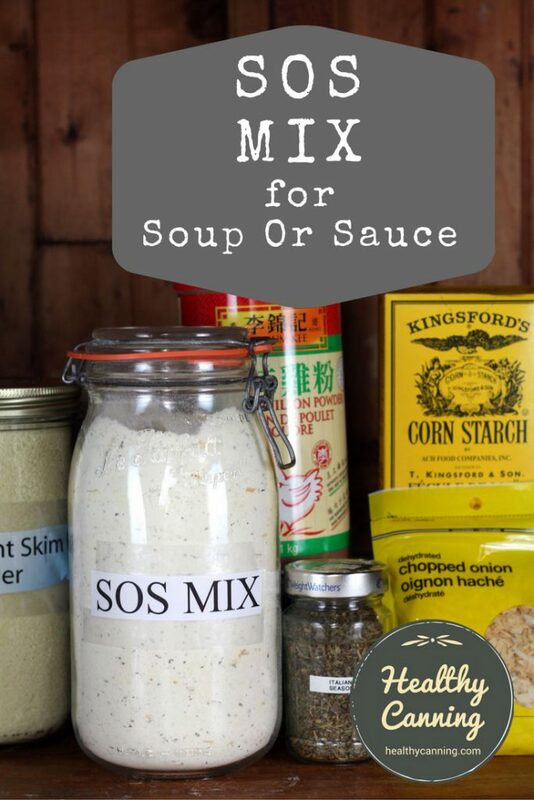 It’s called SOS mix, short for “Soup and Sauce.” It appears to have originated with the Best Foods company in the 1970s, and now is promoted even by various universities such as Utah State. 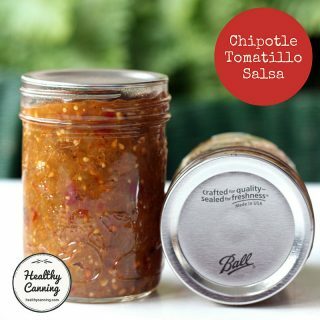 When mixed with a liquid, it makes a creamy base that can be used for anything from soups to sauces. 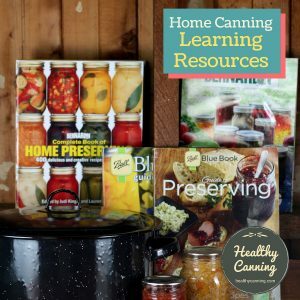 Some of the things you can make are cream soups, cheese and pasta sauces, Au Gratin Potatoes, Chicken Broccoli Alfredo, Chicken Enchilada Casserole, Chicken Parmesan Skillet, Chicken Pot Pie, Easy Beef Teriyaki Stir-fry, Hawaiian Pork Chops, Macaroni and Cheese, Mushroom Garlic Pork Chops, and Skillet Lasagna. 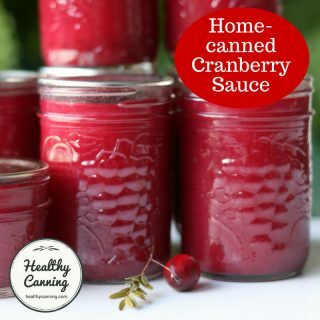 For more recipe ideas, see the Utah State Extension recipe booklet for SOS mix. 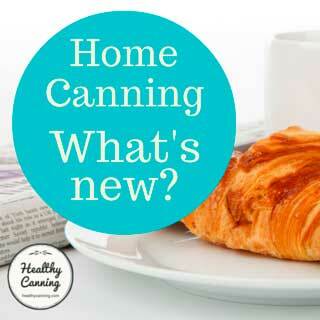 It’s fat-free, gluten-free, and wheat-free, and saves you loads of time and money. You can reduce the sodium in it by looking for lower-sodium bouillon powder. 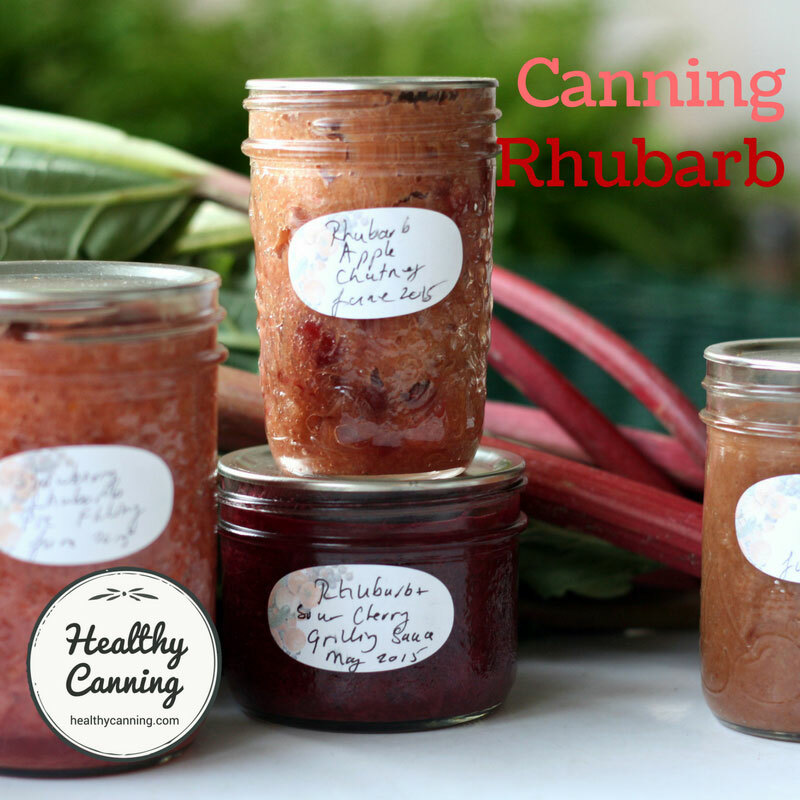 To be clear, this is NOT a canning recipe. Do not can soups made with this. 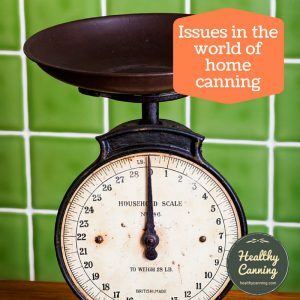 (Learn more about homemade soups for canning.) 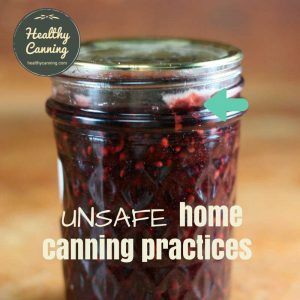 Rather, it is an aide in helping you make quick, healthy satisfying meals with your home canning. 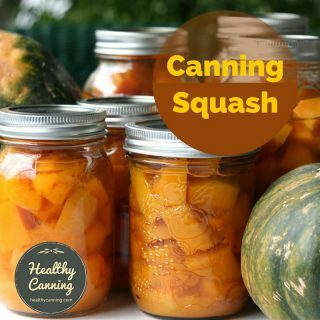 We’re including this recipe in the ‘Cooking with Canning‘ section on healthycanning.com because, combined with your home canning, it can help you make meals that are even quicker, even healthier and even more delicious. Yield: Makes 350 g (2 1/2 to 3 cups) of dry mix. 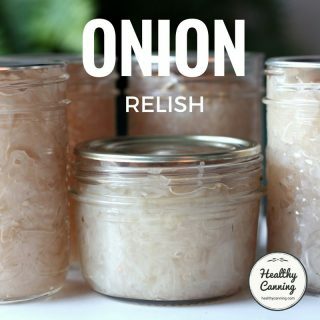 Sometimes, dried onion flakes can be very hard (depending on the source) and not completely soften when this dry mix is made up into sauce or soup. The result is that you can get detectable crunchy bits in your cream soups that might bother you. If you find that the case, try using the onion powder alternative instead. 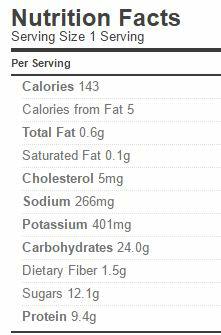 One tablespoon of the dry mix weighs about 10 g / .3 oz. 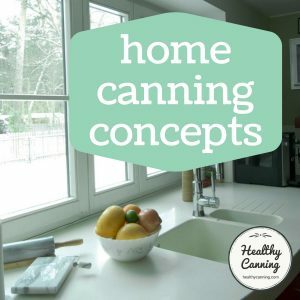 To make up the equivalent of a tin of cream soup: combine 1/3 cup of dry mix with 1 1/4 cups of cold water (40 g with 300 ml water.) Whisk until well blended. Cook and stir on stove top or in microwave until thickened. 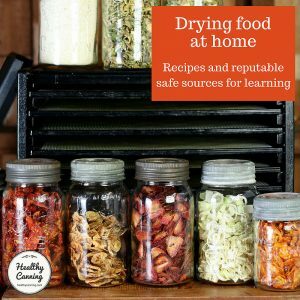 Or, use in recipes in varying amounts as indicated by those recipes. Proctor, Debra G. and Ellen Serfustini. 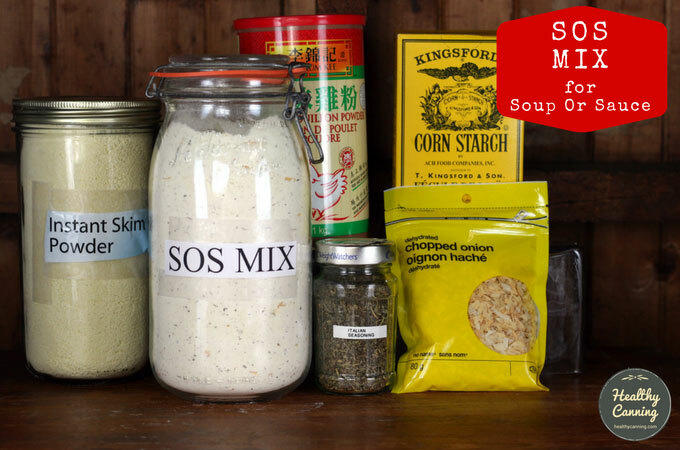 Soup or Sauce (SOS) Mix. Utah State Extension Service. 30 March 2011, v 4.8. 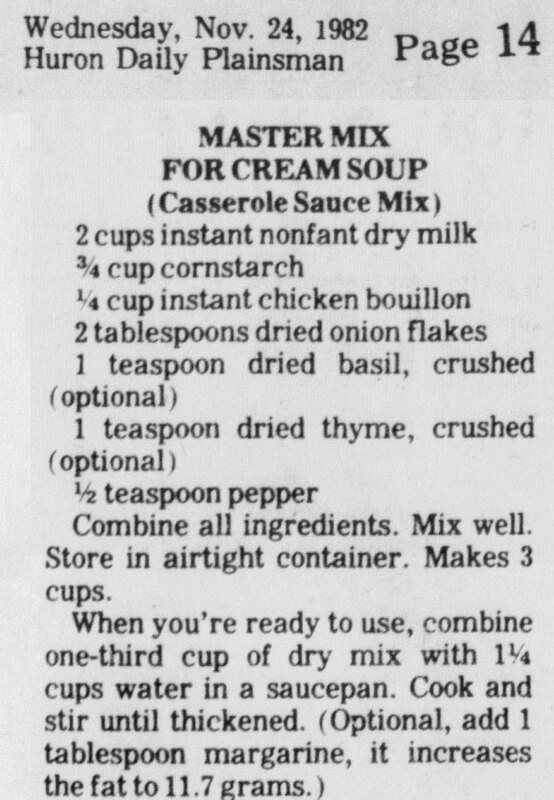 This is also known as Master Mix for Cream Soup, and Casserole Sauce Mix. 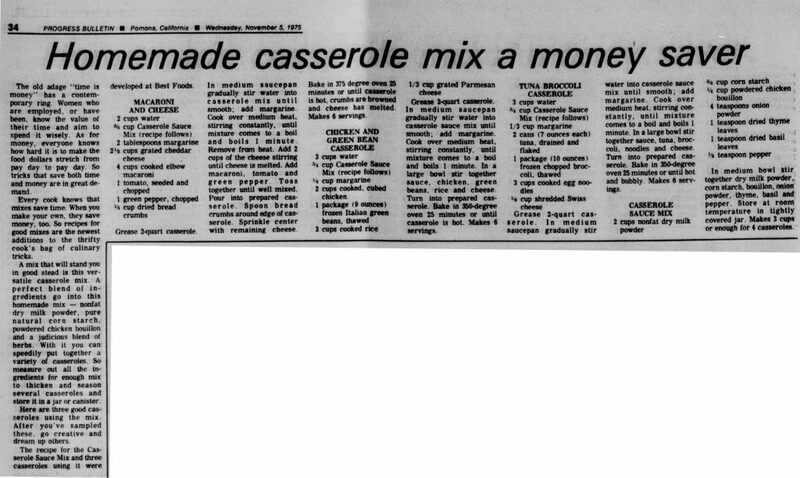 The recipe was appearing in newspapers by 1975, with the credit given to the Best Foods company. 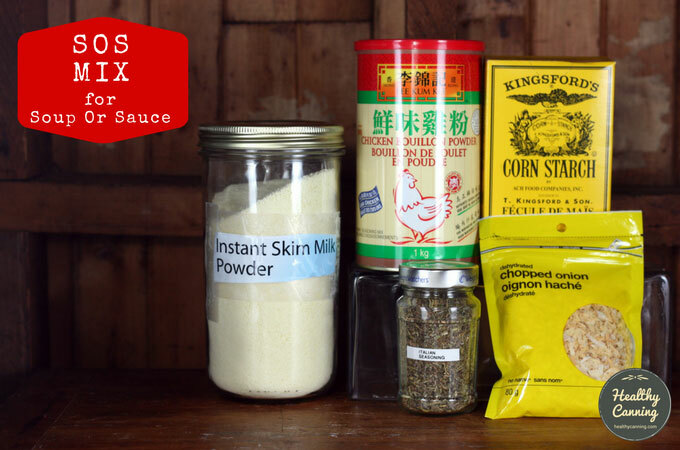 Homemade casserole mix a money saver. Progress Bulletin. Pomona, California. 5 November 1975. Page 34, Col. 1. 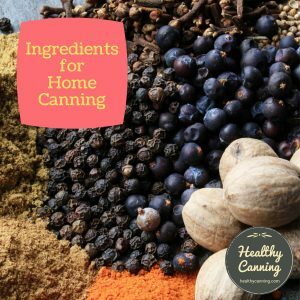 In the 1970s, the recipe called for onion powder rather than onion flakes, and, individual herbs instead of Italian seasoning mix. 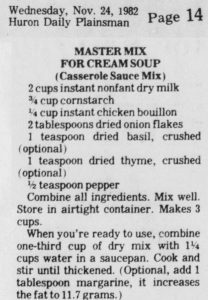 By the 1980s, a version of the recipe had appeared calling for onion flakes instead of the powder. Huron Daily Plainsman. Huron, South Dakota. 24 November 1982. Page 14, Col. 3. 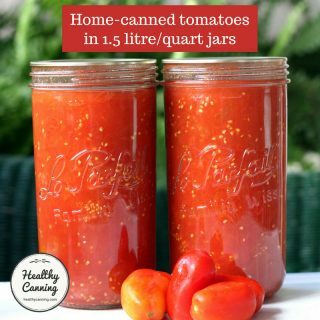 The nutritional information below would apply if you mixed that amount of mix with 300 ml (1 1/4 cups / 10 oz) of cold water to make a “tin” of cream soup. Calculated using regular chicken bouillon powder (Lee Kum Kee brand). Per 1/3 cup (5 tablespoons plus 1 teaspoon / 50 g) of the dry mix. 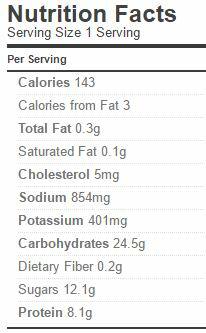 Calculated using low sodium chicken bouillon powder (Epicure brand).